Here’s Kenny at BTC — in the trade at last! Tom hired me fresh from Goucher College after a grant-funded project to catalog their hidden special collections came to an end. Since I was taken on board in part to research and catalog BTC’s growing collections of books and ephemera printed before 1900, it is only fitting that my first post should begin with a look at an early English imprint: Thomas Godwyn’s 1641 edition of Moses and Aaron. This was a popular treatise on the rites and customs of the ancient Hebrews — “untill Christ his comming,” and this particular copy has some inscriptions and manuscript annotations of interest. The first thing to note about this copy is that it is interleaved throughout with a consistent pattern of one or two blank leaves of the same paper used to print the letterpress. 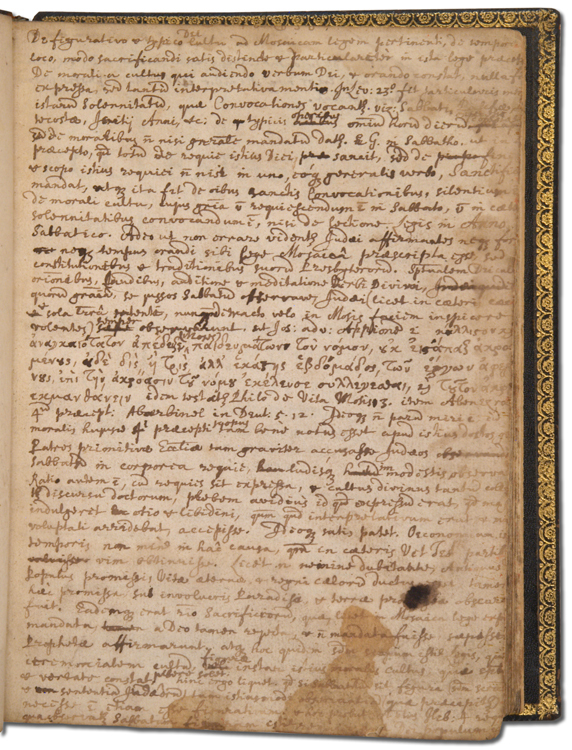 Some of these printer’s blanks are extensively annotated with notes in Latin and Greek in an eighteenth century hand. Interesting, but as I am not a proficient reader of Greek and Latin, it was only natural that my gaze suddenly fixed on an inscription in English on the first blank leaf verso of the preliminary gathering: “Pray give this Book to Mrs. Piozzi.” This raised an eyebrow. Hester Lynch Thrale, later known as Mrs. Piozzi, was Samuel Johnson’s confidant and muse. Adam Gopnik, in a December 8, 2008 New Yorker piece, “Man of Fetters: Dr. Johnson and Mrs. Thrale” calls her “one of the most appealing people of the late eighteenth century…for almost twenty years, [Johnson] lived in closer intimacy with her than with anyone else.” Was this copy of Moses and Aaron given to Mrs. Thrale by Dr. Johnson? Are those manuscript notes in Johnson’s hand? 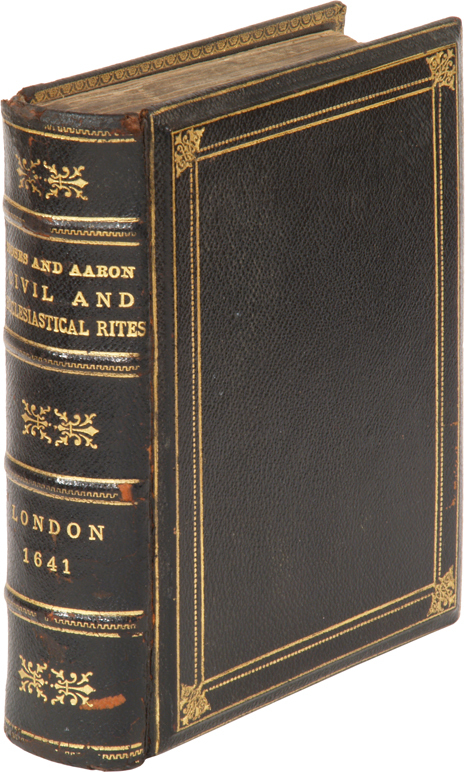 The possibility of an association with Johnson and Thrale instantly made this a very uncommon book. Now there are multiple owner’s names written on these first few leaves, including one “Ana Johnson” on the first leaf recto (and another that had been clipped from the upper right corner), and one “Thomas Goodwin” dated 1736 (perhaps the author’s son or another relation of the author?). 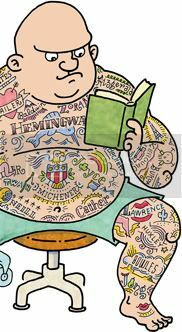 But the one that leapt out at my eye was on a printer’s blank following the title page: “H [?] Thrale,” dated 1804. The effect was electric, like a lash from Hester’s whip. We see thickening clouds of smoke ahead on the horizon! 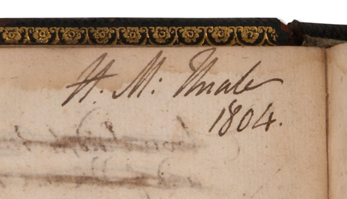 Comparisons are being made between the manuscript notes in our copy of Moses and digital facsimiles of autograph letters of Johnson, Hester Lynch Thrale, and Hester Maria. Samples have been sent to scholars and booksellers. The hunt is on. Fascinating, thank you! As one of those gently mad book collectors, I love BTC and I’m glad to see this blog, of which you can be assured I’ll be a frequent reader. With a high degree of confidence, even though I am not a paleographer, I can tell yoou the inscription to Mrs. Piozzi is not in Johnson’s hand, nor are notes (which are not typical of Johnson, and look to be in the hand of an earlier period.